With over 30 start up brushes to sculpt with and the ability to create an endless assortment of your own custom brushes, it's easy to see why sculpting in ZBrush is not only powerful but incredibly easy as well. The natural brush strokes you get when sculpting across millions and billions of polygons gives the user the feeling like they are sculpting on a real piece of clay, or wood, or stone, or really any surface you can think of. The wide range of brushes you will find in ZBrush were created with real world sculpting techniques in mind. Maybe you want to sink your fingers into a soft piece of clay to rough out general forms. Or maybe your want to chip off pieces of stone with a metal chisel. 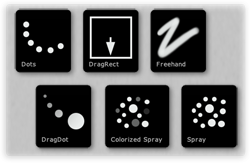 dynamic range of brushes the control you have over your surface is limited only by your imagination. Even the shakiest of hands will have tremendous control over the direction of their strokes. 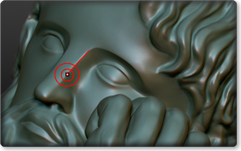 By enabling Lazy Mouse while sculpting in ZBrush, you get surgical accuracy as you brush across the surface of your model. Sculpt with smooth flowing curves or make perfectly strait line across your surface. Whether you are using a mouse or a tablet to sculpt inside ZBrush, Lazy mouse and its many settings give you the precision you need to create any style of strokes quickly and easily. Using different alphas as you sculpt gives you unlimited control over how you deform your surface. 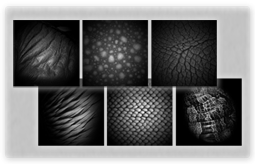 Create realistic wood grains, scaly skin, feathers and so much more. 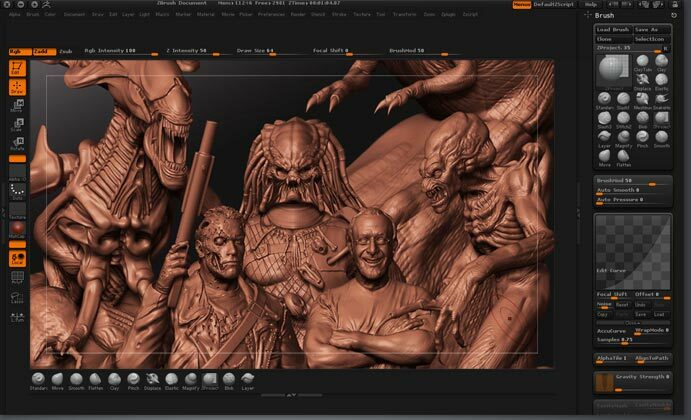 You can use the many alphas that come with ZBrush or use any image to create your own. Adding to the endless controls you have over your brushes in ZBrush is the ability to edit the shape of your brush. The easy to use curve allows you to precisely change the shape you sculpt into the surface. You can even create curves that transition between hard edges to soft rounded ones.